Giovanni Scarlatti is an Analyst at CapM. Mr. Scarlatti is involved in all aspects of mergers and acquisitions advisory in the healthcare, consumer and retail industries. 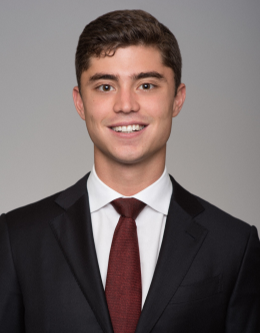 Prior to joining CapM full time, Mr. Scarlatti worked at CapM as a Summer Analyst. His main responsibilities included extensive financial analyses related to transactions in the insurance and retail industries, as well as transaction support on a number of high profile M&A mandates for the firm. Mr. Scarlatti worked in the corporate finance department at Snaitech, a European leader in the betting and gaming industry. His main responsibilities included developing KPIs and credit rating analyses and reported directly to the Chief Financial Officer.